Record your business transactions with no messy carbon paper. Instant duplicate record with no mess. Duplicate - 50 sets of numbered receipts per book. 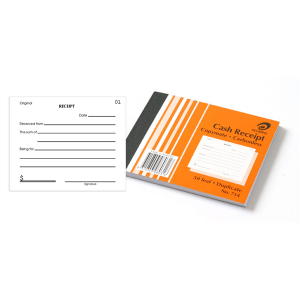 Pack of 10 carbonless cash receipt books.